In fact it doesn’t matter which day of the week your baby arrives on, but on the other hand, some of those myths turn out to have a basic in scientific fact. A Harvard University study which monitored 21,000 babies around the world discovered big differences Although they don’t yet know why, seasonal variations in diet, temperature, hormones, viruses and even exposure to UV light are all likely to play a part. People born in autumn also tend to live longer and experience less illness in old age. There is a little bit of a downside though, if you’re a winter mum. Bigger, longer babies are slightly more likely to cause you to tear when you give birth. Also, summer born babies are apparently more easy to potty train. This is possibly because, when summer born two year olds are learning to toilet train, they get to spend more time with less clothes on than winter babies, meaning, there’s less chance of accidents and they get more positive reinforcement for their successes, which can be a strong motivator to achieve control. Winter toddlers, wrapped up in more layers, may find it more difficult to recognise cues and parents may find it trickier to get them undressed and on the pot, so there are more accidents and less positive reinforcement, making the process take longer. 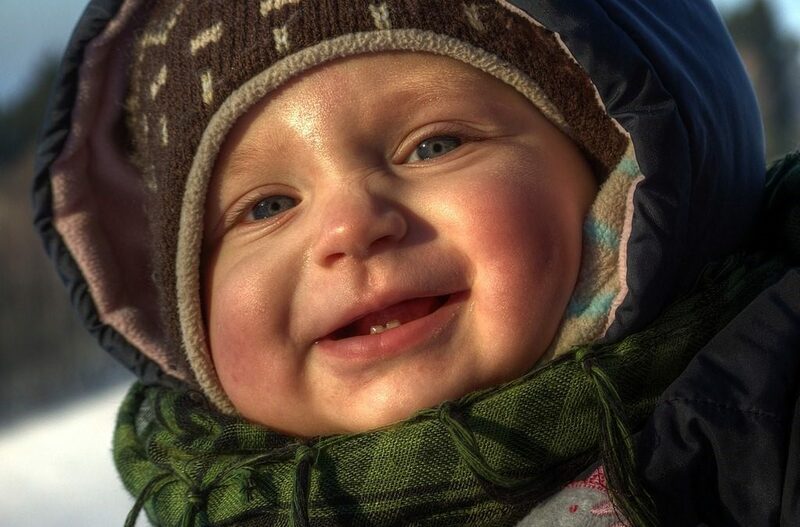 Oddly, summer babies are considered to be more optimistic than winter babies, according to a recent survey. So what does it all boil down to? The reality is that whenever your baby is born, you’re likely to consider him or her to be the most perfect and wonderful (and also the most exasperating and exhausting) thing every to happen to you. Winter births, like all births, are unpredictable and amazing and every experience is unique, just like every child. Winter or summer, home or hospital, your birth, and your baby, will be the result of a wide range of factors, including genetics, culture, and beliefs – time of year is just one of them and by no means the most important.